The Philips Hue range of smart bulbs is seen by many as a great gateway into the world of home automation. We really wouldn’t argue against that, and with plenty of geeky types telling us at every turn that we should join the home automation revolution, it seems that turning our lights on and off using our smartphones or with the help of a schedule is something we really are going to have to get used to. 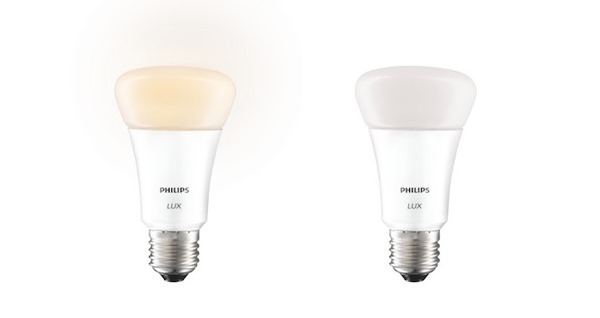 To that end, Philips has already grown its original Hue lineup with new models that make it possible for more and more people to get in on the act, and the company is now adding three more products to the lineup. With the Hue bulbs being far from cheap, the new Hue Lux line of bulbs is a welcome addition. Essentially the same as existing Hue bulbs, the Lux range can only emit white light rather than the multi-colored offerings from existing Hue products. The same remote control and scheduling element remains, meaning these are a great entry-level addition to the Hue lineup. Each bulb will retail for $40 with a starter pack containing two bulbs and the required bridge available for $100. The second addition from Philips isn’t actually a bulb at all, but rather a light switch. Requiring no external power source thanks to its use of the kinetic energy from whoever is pressing it, the switch offers four different presets that can be assigned to ‘recipes,’ which are presets for those of us now already indoctrinated into the Hue way of life. The final new product to join the Hue range is not something we’ll be picking up anytime soon. Dubbed the ‘Hue Luminaires’ the product comes in both tabletop and ceiling-mounted flavor for €2499 and €2999 respectively. Both are 3-D printed and work just like normal Hue bulbs do. They’re certainly not cheap and we’re not really convinced they’re nice to look at either. We’ll let you make your own mind up on that one. 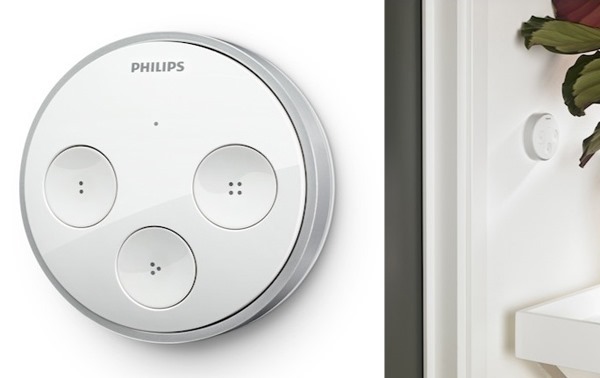 All three products will be available over the coming months, with the Hue Tap light switch expected to be towards the end of 2014 for around $60. Are you going to purchase these new offerings? Let us know in the comments section below.